Truth be told, small spaces are very popular and common in latest years. People all around the world have learned to live in 20 square feet apartments which are still bigger than our smallest HDB flat and multiple videos on YouTube show it is possible. But let’s not go there just yet. However, small spaces and apartments need some kind of tricks in order to make the apartment more functional and practical. We suggest several tips for such goal. Think of how many different zones you can create such as sleep, relax, work, food, etc… Establish separate zones for every activity that crosses your mind. Small areas and corners make the space feel and look larger than it actually is. You can create many rooms within the room. And the options you can use is unlimited: curtained bed, window seat, built in banquette, table and a chair and lots more zones with many seating areas. You can distinguish the zones by using a different color for the walls in it. When you operate in a small space, you must adjust your furniture. Large, voluminous furniture has no place in a small apartment. Furniture elements such as clothes dress and armories eat up a lot of floor space, and in most cases, you don’t need such huge armories. So why use them? Look for storage options that can help you reduce the size of the closet and cabinet. For example, if you put some storage under your bed, you can use a smaller cabinet. This gives the bedroom more space, makes it virtually bigger and spacious, and the biggest benefit is that the cleaner the room, the more natural light there will be in it. As we mentioned, small furniture is the way to go. If you can even find small and multifunctional furniture, even better. For example, in a small bedroom, using a futon is a great way to add multifunctional dimension to the room. 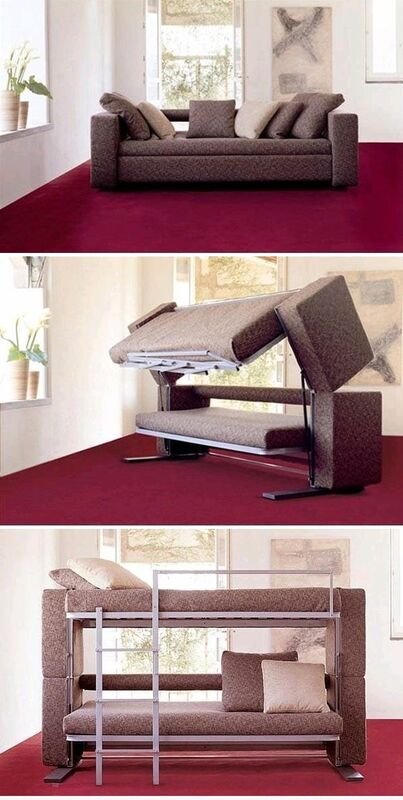 The futon can be used both as a bed, or as a sofa. If the apartment has more roommates, futon is an excellent choice. A more drastic approach would be to use Murphy bed. Murphy beds can be pulled out from the wall. They save tons of space in the bedroom. And with the advance of technology, modern Murphy beds can house foldout desk when closed inside the wall. Some other suggestions for multifunctional furniture include folding chairs and flip-top tables. But don’t be afraid to experiment. In small apartments, creating multifunctional elements is as much important as creating visual illusion that the apartment is bigger. There are many ways you can visually trick the eye into thinking the space is bigger, but let’s break down few of them. First, and most common way to visually increase the space is by painting the room in the same color or in even tones. Think of a color, and use different tones and shades of it to create a flow. This way, the eye flows through the apartment and there is no new color to disrupt the view. Floor to ceiling curtains are the next way you can visually trick the eye. By focusing on the vertical view of the apartment, you forget the horizontal and the width of the space. Last but not least, strategically place mirrors and see through furnishings. Mirrors are a huge part of modern and contemporary interior design, and with a good purpose. By reflecting everything, mirrors are the best way to create the illusion of a larger space. 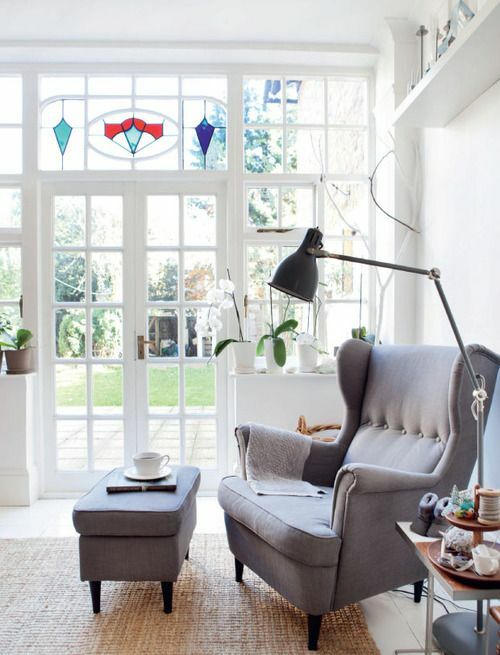 Thinking vertically with floor to ceiling curtains is the visual trick for increasing the space. But you can also utilize the vertical space of your apartment. When you install bookcases and cabinets, make them all the way to the ceiling. The space between the top of the furniture and the ceiling of the room is the most under-utilized space in the apartment. Do not forget it.